Hi there, I’m Andrea. 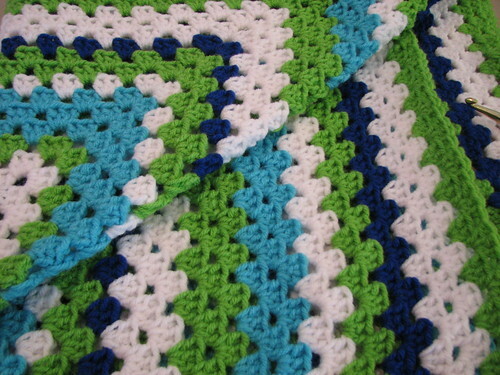 Just joined up but have been working on a giant granny square blanket for my oldest son. He’s 4-years-old and picked out the colors and made up the color pattern. eta: I’m andrealea on Ravelry. Welcome, Andrea! Your blanket looks great so far!